In tough or competitive real estate markets knowing when a house will be listed before it actually goes on the market can definitely be a great advantage to finding and buying the home of your dreams. One of the biggest tactics is having a real estate agent that is well-versed in both buying and selling properties. In hot markets where there are not a lot of available homes, working with someone who has a large database of connections in the industry can really give you a competitive edge above those who don’t. Here are four tactics for finding a home for sale before it’s actually listed. Look for an unkempt yard. Homes that have let things go, haven’t mowed the lawn in weeks, or house that’s in need of some TLC may be assigned that either the owners are on an extended vacation or that the home is about to be foreclosed on. 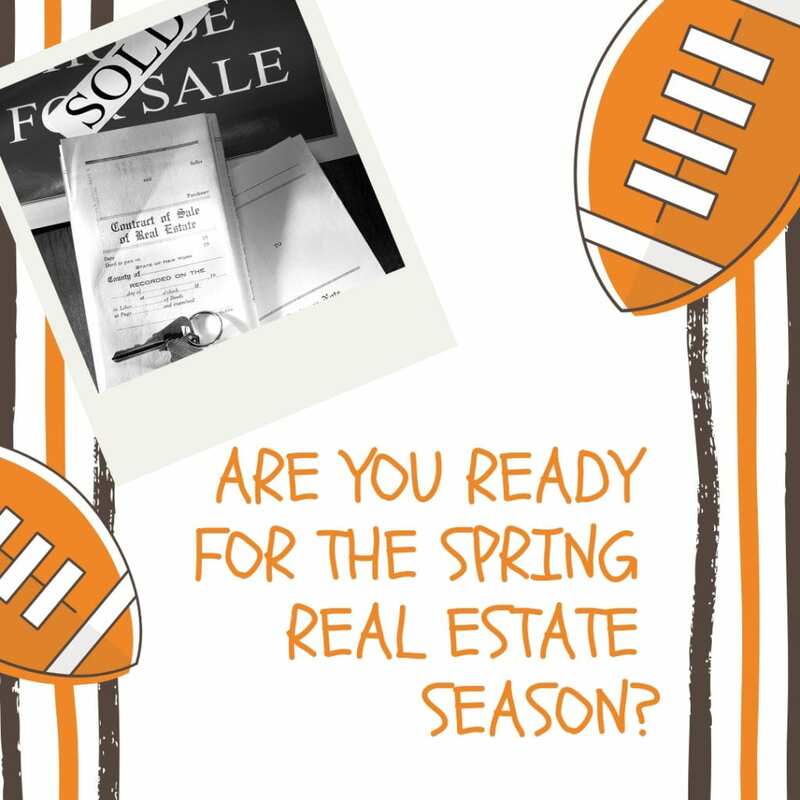 You can speak to your real estate agent about the possibility of an auction. If you know you want to live in a particular neighborhood, peruse the neighborhood several times. Are there workmen outside of homes? Are homeowners just remodeling or doing some updating because they will be listing the house? It’s important to ask and it may even be more accepted if you ask rather than a real estate agent. Look for “notices of default”. Finding a pre-foreclosure property can be difficult and it may not just be signs of an unkempt yard. This is why it’s so crucial to have a real estate agent they can find properties in default. 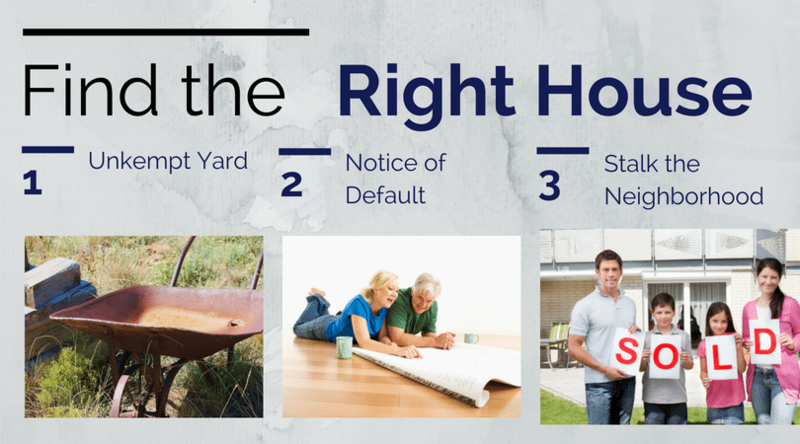 If these properties create a relationship that ends up with a great home for you and a good way out for the seller, it’s a win-win on both sides. Again, I really believe it comes down to having the right real estate agent. A savvy agent that is experienced, knows the market, possibly has a lot of sellers in their back pocket ready to list, and doing a little bit of detective work on your part can really help find the right home before anyone else does. If you’re ready to get started on this process give us a call. We can start by understanding exactly what you’re looking for and then work our way around that. Here we are, finally. Although, you might want to tell mother nature that it’s spring because, in so many places around the country, winter still seems to be hanging on tight. 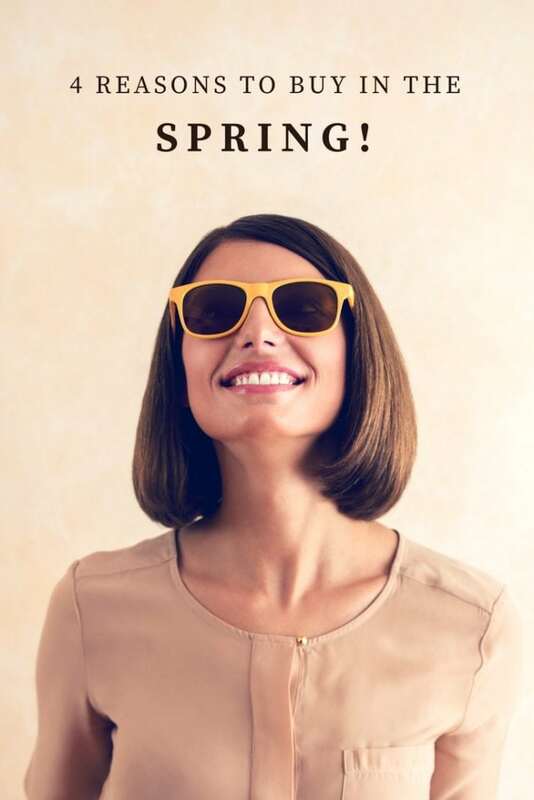 But that’s okay, the spring season is upon us and that means summer will be here soon so why is spring a great time to buy a house? #1. Prices and rates will continue to increase. It’s no secret that home prices and interest rates are creeping up slowly. But slowly is a good thing; we don’t want anything to creep up too fast or drop for that matter. We’re keeping a pretty balanced market for the last few years but unless you want to pay more for a house next year, it would be a good idea to buy now before rates and prices go up too much..
#2. You are paying someone’s mortgage. Regardless of whether it’s your own or your landlord’s mortgage, you are paying a mortgage. Some renters may have not purchased a home yet because they are uncomfortable taking on the obligation of a mortgage payment. But, everyone is paying a mortgage in some form or fashion. As a homeowner, your mortgage payment is a form of forced savings that allows you have equity in your home you can tap into later. If you’re renting, your landlord is the person with that equity. The home buying season is right around the corner, which means there will be a lot more competition. Homebuyers usually like to wait until kids are out of school so by looking at homes before the end of the school year, you can get a jump on your competition. The best time to buy a house is the best time to buy a house for you. It’s different for everyone, but with the interest rates staying low, home prices staying moderate, and the fact that you are paying a mortgage anyway, isn’t it time you paid your own? If you’re planning on staying in a house for two years or more, buying is really the best option. If you know where you want to live, finding and purchasing a home will jumpstart your savings, building equity, building a foundation that you can lean on from time to time, and simply have the sense of accomplishment. Isn’t it time that you owned your own home? If you think that now is the time give us a call. We’d love to talk to you about how much a mortgage payment would actually be an what’s available in your price range throughout Sunset Beach. Is it even possible to buy a house that’s not on the market? The subject came up this week and I think it’s important to address it to potential buyers. We’ve had buyers that have looked at dozens of homes and nothing seems quite right. 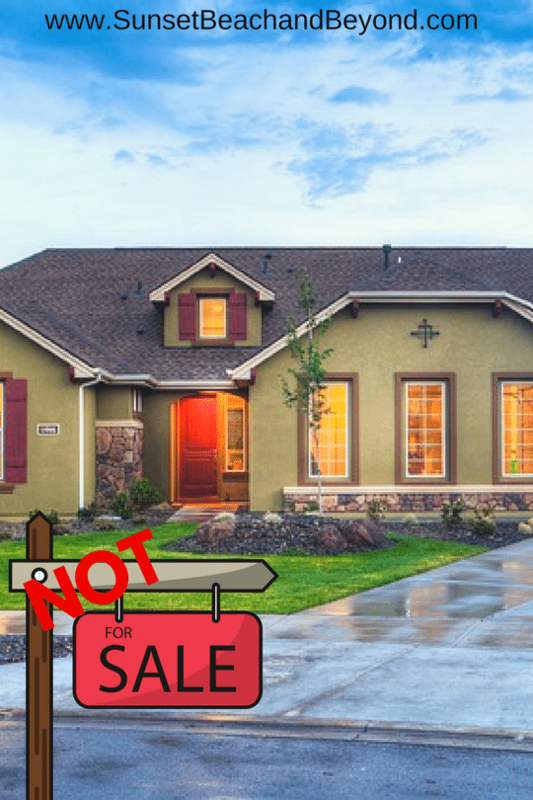 So is it even possible to buy a house that’s not for sale? Perhaps you’ve driven by a house for years that you abs olutely love. Maybe it’s been on your radar for some time but has never quite had that sign in the front yard yet. So how do you approach the homeowner without being right off with a shotgun? It’s important to have your own agent even if you plan on buying a house that’s not for sale. Having your own agent will give you the know-how, knowledge, and experience to put in a solid offer and to negotiate on your behalf. Your buyer’s agent will likely negotiate with the homeowner if a sale is even possible. If the property is occupied, chances are you’ll have to just knock on the door and talk to the homeowner. Most letters that are mailed are simply ignored. People don’t want to think that you are just one of those “we will buy your ugly house” letters. It doesn’t seem real or genuine. The best way is to simply approach the homeowner. You are driving by one day and noticed they are out gardening. This is a great way to strike up a conversation and talk to them about the house. What if you’ve never seen the inside? We’ve helped a lot of buyers that love the outside of the house and have seen it for years but as soon as they step inside, all of those dreams vanish. It’s nothing like they thought it would be. Either they are too many updates that are needed, the kitchen is too small, or there are not enough bedrooms. But, a good real estate agent should be able to pull up tax records and find out the basic logistics of the house such as how many square feet, how many bedrooms, bathrooms, and the general layout. But, only going through the house yourself will give you a better idea of what you are dealing with. Related: Is it okay to find a Realtor at an open house? First of all, be ready for rejection. People might be flattered to think that you want to buy their house, but they might also be insulted. Some people have sentimental and nostalgic ties to their house and money just can’t compete. Even if you plan on offering cash without an appraisal, some people are just not in the mood but, it could be the start of planting the seed and later on down the line once they have considered it, they may end up selling at that time. If they think someone is really interested in the house, it may be more of an incentive to sell. Have your real estate agent write up a genuine offer with either an inspection and/or appraisal contingency. The sellers may reject it right off the bat, but the offer with them could help them mull over the idea. They can do their own research and may come back to you with a counteroffer. Sometimes just the idea of someone being interested in buying their house is enough to get the ball rolling. But, they could reject your offer altogether and simply list the property for a different price or with a different agent. The idea is to be genuine, consider it and reasonable. If you’d like to get the ball rolling on your end, give us a call. We are happy to do some research on a particular house in the Sunset Beach area or surrounding community and help you find the true home of your dreams. Read More: Should I Be Concerned with Landscaping at a New Home? Buying a house is exciting, yet most people don’t do enough research on the process before jumping in. The inspection is a crucial part of the home-buying process but in hot markets, many buyers are waiving the inspection altogether. While we don’t advocate this, we do understand it in some situations. Hot markets where homes go fast may warrant a home inspection waiver. But, nevertheless, when buying you should verify certain things are inspected and checked, even by yourself, if for no other reason, your peace of mind. Remember, home inspectors are not experts on all these things but they do know a little about everything. If they suggest an additional inspection you might consider it carefully. It may be more expensive but it could save you thousands in the long run. Mold – Just about every home has some type or level of mold. Most is nothing to worry about. Anywhere moisture can build up, mold can grow. This could be on the walls of your shower or in a basement. If the inspector finds serious mold issues, it’s best to have it analyzed, inspected properly and removed before moving in. Radon – Radon is a radioactive material that is usually distributed injured surrounding a home. If the concentration is strong enough it can be a health hazard. If your inspector suggests an additional radon inspection, definitely have one done. If the radon is president and is of concern, it can be immediately remedied through a specialized company. Radon can also leak into your water if you haven’t artisan well. This is nothing to mess around with. Lead Paint – Any home prior to about 1973 may have lead paint on the walls. Chances are it’s been painted over several times and unless you, your kids or your pets are chewing on paint chips, it’s pretty harmless. However, if homeowners know that there is lead paint in the house they must disclose this to a buyer. Asbestos – This common material was used in homes for decades but is not popular today. It’s completely safe when undisturbed but if people try to remove it themselves it can be extremely dangerous. If the home has asbestos you can either choose to have it professionally removed or simply leave it alone, but it’s important to know if the home has it. Additional inspections. One more thought on additional inspections, as we mentioned previously, home inspectors know a little bit about everything but if they suggest having an additional inspection by a professional certified and qualified in that area, take heed. This is extremely important and could save you thousands of dollars in the future. If there’s issues with the roof, foundation, electrical or plumbing, it’s important to get an additional inspection to verify the integrity and durability of the item. 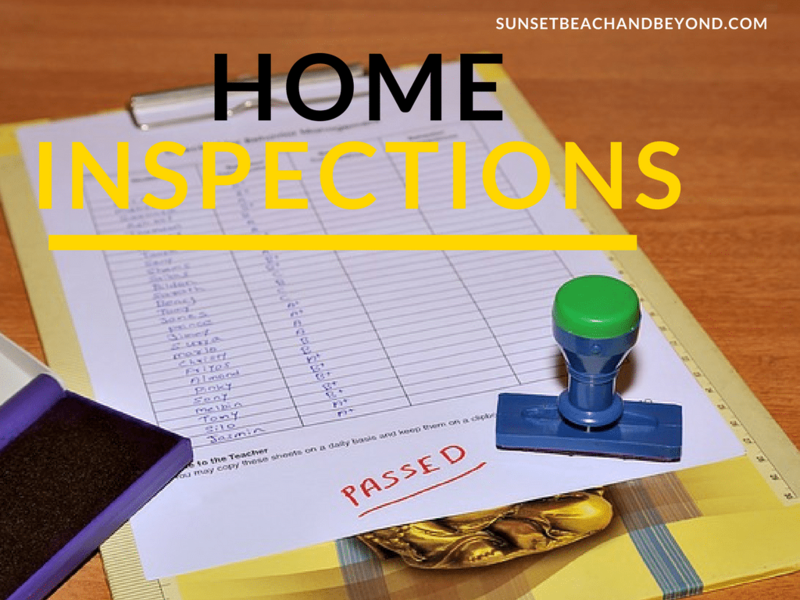 For more information on home inspections or answers to any of your questions on homebuying throughout Sunset Beach contact our office today. If 2017 is going to be your year to buy a house, whether it’s your first home or you are a repeat buyer, you can start to get your finances in order now so that when it does come time to buy you ready to go. We want all of our buyers to be comfortable when they purchase their home. Being stressed, over budget, and nervous about finances is not a good way to enter homeownership. There are three main things that potential homebuyers need to concern themselves with if they’re planning on buying this year. #1. Understanding and getting a good grasp on their credit history and report. Order a copy of your credit history and report from one of the three major credit reporting agencies, Experian, Trans Union, or Equifax. You can also get a copy through your local bank. Any of these reports will be very similar so you want to look for errors, mistakes, outstanding balances, collection notices, or anything that looks out of the ordinary. Clean up your credit history and report the best you can, which could take a month or two depending on the errors or issues therein. Try to increase your credit score to at least 680 by paying your bills on time, paying off debt but leaving available credit on credit card so that it shows you have additional credit available, and paying down as much debt as possible. #2. Save a little bit of money. You will need an earnest money deposit and a down payment as well as inspection costs when purchasing a house. 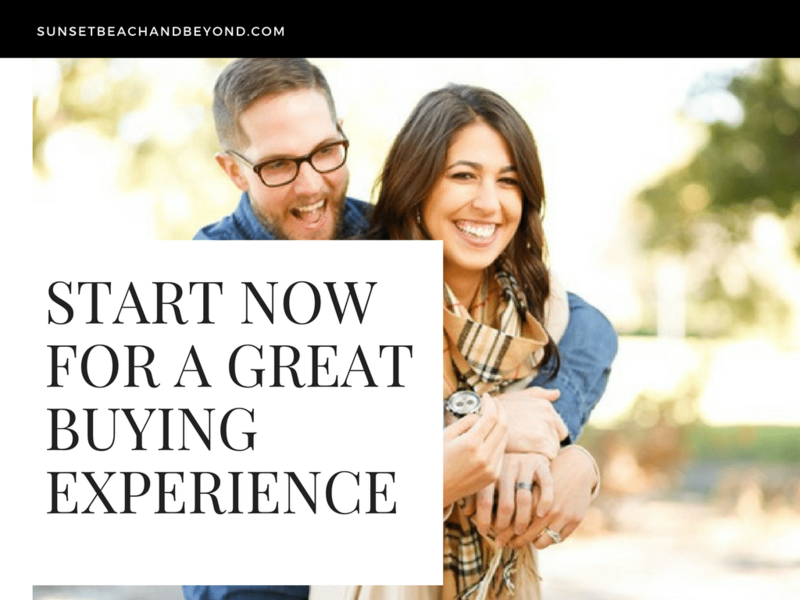 If you are a repeat buyer you might be able to use the equity when you sell your existing home and turn around and put it as the down payment to your new house but if this is your first time buying you’ll need a substantial down payment. FHA loans require 3.5% down and conventional loans need at least 10%. Talk to your lender about the different options when it comes to loans. An earnest money deposit is typically 1% to 3% of the purchase price of the house so you want this in liquid cash in order to hold the offer on the house. You also need money for the home inspection, which can range anywhere from $300-$800 depending on the type of inspection and the inspection agency. #3. Try to stay calm and patient. Finding the best house for your needs and your budget may have been in a day or it might happen over the next six months. By preparing now you’ll be ready to jump on the right house when it hits the market. Make sure you know what you want in a house, have your debt to income ratio below 43% and try to stay unemotional during the negotiation process. Read more: How Long Does it Really Take to Buy a House? Again, we want your home buying experience to be as stress-free and easy as possible, so by doing just these simple things you could be light years ahead of your competition. Call us today to get started or browse listings on our website for free.